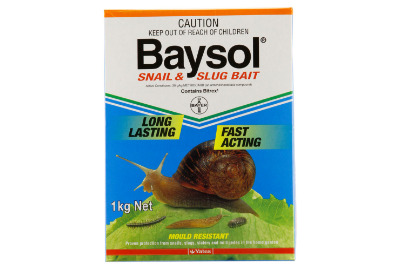 Kills snails, slugs, slaters and millipedes in the home garden. Attracts target pests. Contact and stomach poison. 20g/kg methiocarb in the form of a pelletised bait. 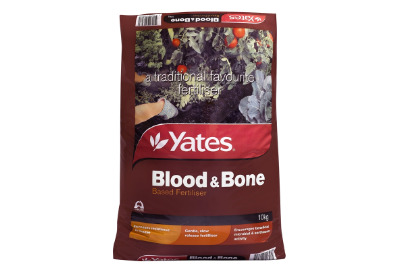 Suitable for all vegies and flowers including exotics and natives. Please note: Ensure you read the label directions and precaution advice when using this product around pets, particularly dogs, as it may be harmful if consumed. 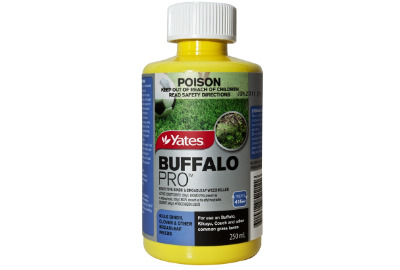 Kills bindii, clover & other broadleaf weeds in Buffalo, Kikuyu, Couch and other common grass lawns. 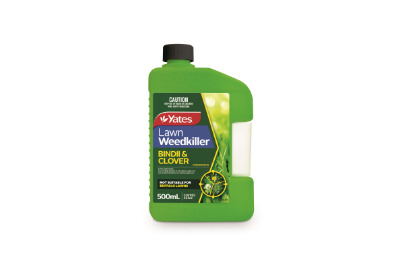 Note – this product will replace the existing Yates Lush Bindii & Broadleaf Weed Killer Concentrate 200ml. Store in the closed original container in a cool dry place, out of the reach of children and pets. Do not store in direct sunlight. Dispose of empty container by wrapping in paper, placing in a plastic bag and putting in garbage. 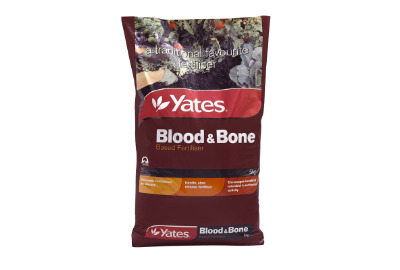 A special combination of organic ingredients PLUS unique fertilisers designed to produce richer, juicier and more abundant fruit in a variety of plants. 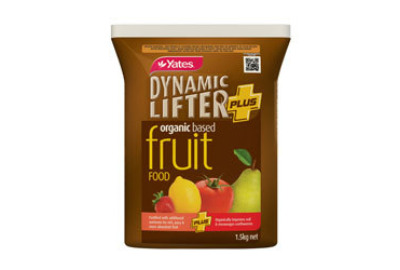 Yates Dynamic Lifter PLUS Fruit Food is pelletised for easy use and is a complete fertiliser. Combination of two selective weedkillers, which allows a broad spectrum of weeds to be controlled. (Not suitable for Buffalo lawns). Kills insect pests and mites on contact and systemically works from within the plant to control insect pests and diseases. For use on roses and ornamentals in the home garden. 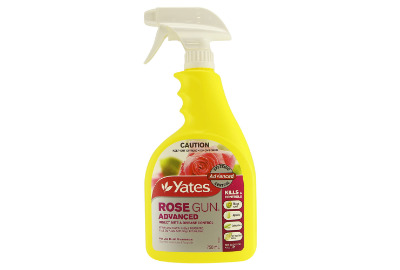 Controls the most common rose pest & disease problems. Highly effective combination of a low toxic synthetic pyrethoid insecticide, a systemic insecticide and a systemic broad spectrum fungicide. The insecticide works via both contact and stomach action, and the systemic insecticide and fungicide are absorbed into the plant’s system and is translocated around the plant to control disease – works from the inside out. Easy-to-use trigger pack – no mixing required, no measuring, no mess. Combination of soil wetting agent, liquid clay breaker, trace elements and seaweed. Soil wetting agent allows water to penetrate water repellent soils. Liquid clay breaker softens hard clay soil and improves soil structure. Trace elements, including chelated iron, improve plant growth and encourage deep green foliage. Seaweed is a natural plant growth promotant. 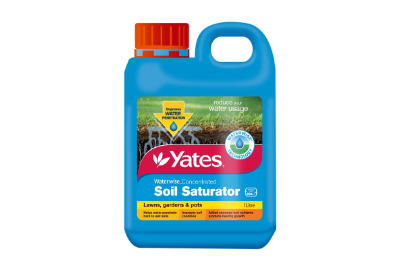 Economical concentrated formula for larger gardens – makes up to 600L of soil wetter. Can be used to treat both the garden and potted plants. For use on garden beds and potted plants. Contains a combination of fast acting wetting agents and soil conditions that improve moisture penetration of water repellent soils and aid soil structure. Includes trace elements for added vitality and healthier plants. Includes seaweed which is a natural plant growth promoter. Convenient to use and easy-to-apply, just mix with water in a watering can. Wetting agent, soil conditioner, trace elements and seaweed (Liquid clay breaker = soil conditioner). A complete granular fertiliser for feeding most garden plants. Thrive granular all purpose is a blend of nitrogen, phosphorus and potassium for balanced foliage growth and flowering and fruiting. This product also contains trace elements for all round plant health. Nitrogen, phosphorus, potassium and trace elements. Seedlings – apply as a base dressing when planting at the rate of 100g per square metre. Vegetables and annual flowers – apply monthly during the growing season at the rate of 200g per square metre. Established trees and shrubs – apply in spring and autumn at the rate of 200g per square metre around the drip line. Precautions: Avoid applying to potted or container grown plants. 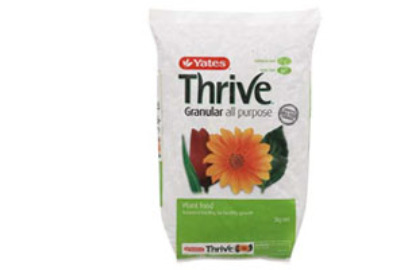 We recommend the use of a soluble fertiliser, such as Yates Thrive Soluble. Not suitable for native plants. 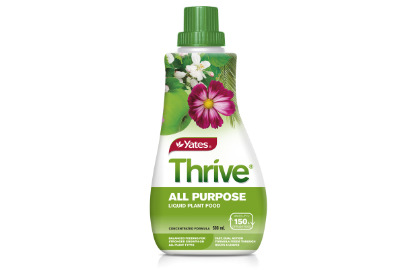 Yates Thrive All Purpose Concentrate is a complete liquid plant food, suitable for all types of plants. It provides balanced feeding to promote stronger, healthier growth and greener foliage. Thrive is a dual action formula that feeds through both leaves and roots, as you water. Designed to feed foilage, encourage root development and improve flower development. 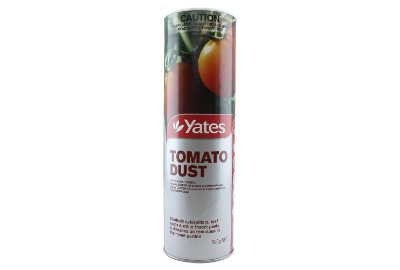 Contains chelated trace elements that are easily available to plants. Controls caterpillars, leaf spots & other insect pests & diseases on tomatoes in the home garden. Saves time, offers both insect and fungus control in the one product. Easy to use shaker pack, no mixing, no spraying required. Controls tomato grub, potato moth (tomato leaf miner), tomato mite and other mites. Controls early blight (target spot), late blight, septoria leaf spot. How it Works: Sulfur and Copper Oxychloride act as protectant fungicides. Sulfur is also a miticide. 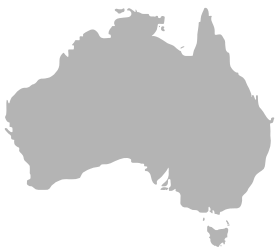 Spinosad, an insecticide derived from natural soil bacteria, controls tomato grubs and potato moth (tomato leaf miner). A systemic fungus control for roses, apples and stone fruit. Systemic fungicide – absorbed into the sap stream, moves around the plant and destroys disease. 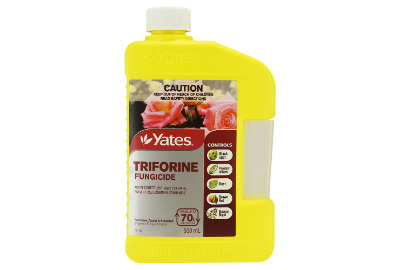 Triforine is a systemic fungicide which is absorbed into the sap stream, where it destroys any fungal infection. Acts as both a preventative and a curative, destroying diseases already in the plant and preventing diseases from entering the plant.